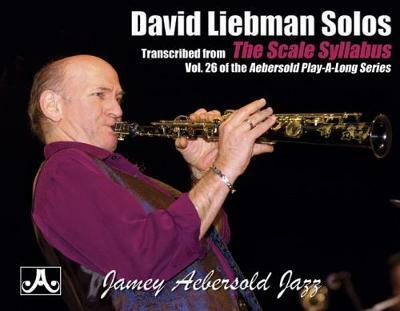 Transcription book of Liebman's solos from the Volume 26: The Scale Syllabus play-along set. Here is the opportunity for the thousands who have enjoyed David's wonderful soprano playing on the popular Volume 26: The Scale Syllabus play-along to actually see what he's doing. These special note-for-note transcriptions are the best way to study how David approaches both typical and exotic chords and scales. Note: Transcriptions are in concert key, not B-flat.